Inversion tables are amazing equipment with great health benefits, and it is not surprising that their popularity grows daily. As the number of hours spent sitting at work increases, the average age of people suffering from back pain decreases. Inversion tables work with gravitational force to decrease back pressure and increase blood flow. And bonus, they are also good for your abs! With so many options, choosing the right table can be confusing so we have put together this shopping guide to help you review the options and decide on the inversion table that is right for you. Memory Foam Backrest: These inversion tables use memory foam for the backrest, providing maximum comfort. The foam molds to the contours of your back, like a memory foam pillow does, for a comfortable session . 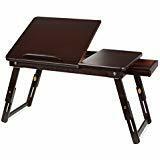 Flexible Backrest: Flexible backrest tables offer a greater range of motion and better relief for back pain, and are a great value for your money. Infrared Backrest: Inversion table backrests containing heating elements, are the top of the inversion table food chain. The heat provides temporary relief for minor muscle pain and is an extra perk to a therapy device that already has great health benefits. Comfort: Comfort is the top feature that people look for in their inversion tables and includes ankle comfort and back padding. To make sure you can use your table regularly and get all the health benefits, choosing a top quality, comfortable inversion table is key. 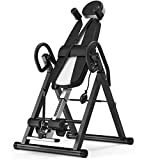 Sturdy: An inversion table should not only be built to last, because it’s an investment, but it should also be solid enough to hold you comfortably while you are suspended. 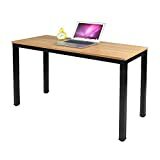 A sturdy table is a safe table and gets much better reviews! Cushioning: Back cushioning is very important to reviewers. 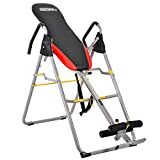 The padding on the backrest will make sure you are always comfortable using your inversion table, and tables with more cushioning were much more appreciated. As these machines are built to alleviate pain, avoid extra aches and irritations by choosing a table with good cushioning. Easy to assemble: People who are able to assemble and disassemble their inversion tables with ease are a lot more satisfied and love their products. Buying a table you can set up quickly without assistance and easily pack it away when extra space is needed will make usage a lot simpler. Quality is very important when choosing an inversion table. You are going to be hanging upside down, so security and reliability is key. Quality can often be determined by the weight of the table (as seen in the product specs). Look for the UL Mark when buying your inversion table. This mark assures you that your table has been properly tested for quality and safety. Inversion tables are investments to your health. If you buy a good quality table now, it will last. With that in mind, it is important that your table comes with a warranty. 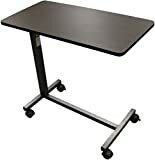 Quality tables typically come with warranties of up to 5 years. Ironman: Ironman inversion tables are a product of the Paradigm Company, who develop health and fitness products under various brands. Teeter: Roger Teeter first tried inversion therapy in 1980, and in 1981 he and his wife formed the Teeter company to provide consumers with quality inversion tables.